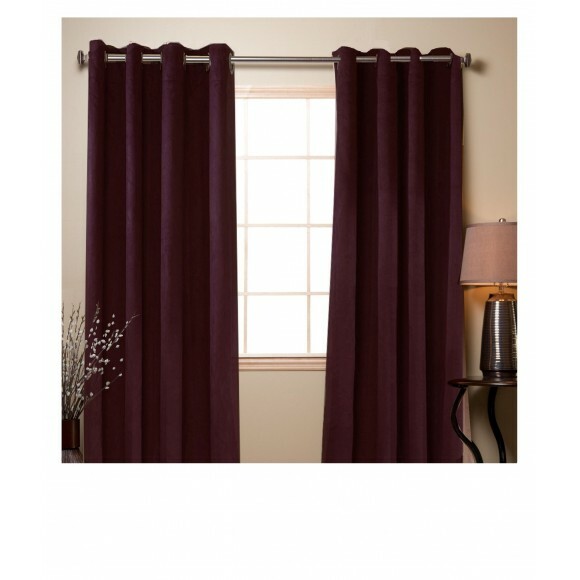 These faux suede curtain panels are cut in a long contemporary style that features a set of silver grommets along the top. The grommets make these curtains easy to install and a breeze to pull open and shut. 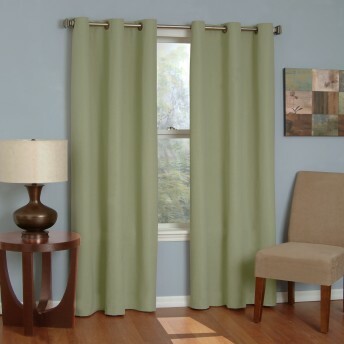 Each panel features eight silver metal grommets at the top for drapes that slide easily and effortlessly. Available in 5 rich colors to match your interior decor. Each panel measures: 54W x 84L. Made of 100% polyester. 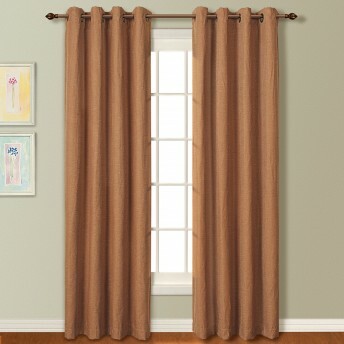 I was shopping for new window treatments for my master bedroom when I came across this website. After spending a few minutes searching through the many different choices, I settled on the modern look of these Faux Suede Curtain panels. They arrived quickly, and putting them up was a breeze. My room has never looked better!